What Are the Best Invoice Payment Terms for Your Small Business? Choosing the wrong invoice terms can disrupt your cash flow and alienate customers. However, for a freelancer or an entrepreneur just starting out, it can be difficult to know what terms to set to get paid faster and establish positive relationships with your customers. In this article, we’ll help you determine what terms to provide to your customers. Before we dive into the details on this topic, we also suggest you check out FreshBooks. With FreshBooks accounting software you can easily set up payment terms. Based on the terms that you setup, FreshBooks will remind you when an invoice is coming due so that you can stay on top of your accounts receivable. Plans start at just $15 per month and you can get started for free. The first cardinal rule of invoicing is to try to get paid as soon as you can. NET 30 is the standard invoice term among small businesses. It simply means that the customer must pay you within 30 days of receiving the invoice. Small business owners might be tempted to bill a client at NET 15, NET 7, or even cash on delivery (COD) in order to get paid faster, but this is risky. If you get pushback from customers about your invoice terms, the reason is probably because you’ve deviated too far from what’s customary in your industry. Before setting your invoice terms, you’ll need to talk to industry peers and find out the norms in your industry. In some industries, virtually all businesses offer the same terms. For example, almost all manufacturers of tangible consumer goods offer NET 30 terms. In some industries, there is a pretty narrow range of terms that are offered. For example, in the fashion and construction industries, NET 30 and NET 60 are most common. Finally, in some industries, invoice terms are all over the map. Freelancers are a good example of this–some require up front payment, and some don’t mind payment in 60 days or more. For more information on freelancers check out the freelancer’s guide to invoicing. Businesses in the first bucket don’t have much choice but to follow the industry standard. Businesses that fall into the second and third buckets have some flexibility in choosing their billing terms. In the next section, we’ll discuss what such businesses should keep in mind when setting their invoice terms. Actions speak louder than words when it comes to paying your bills. You can find out how a client has paid bills in the past by pulling their business credit report. If the report shows that they’ve been tardy with other suppliers, you may want to require upfront payment on the invoice or set a short deadline for payment. Even if a prospective client has a good credit score, working with a new client always has some level of uncertainty. You can test the waters with a new client by asking for payments at different phases of a project once a milestone has been reached or by asking for a deposit upfront. If you’ve done business with the client before, you can base your terms on your experience with the client. If things have been going well with a NET 30 system, it may be a good idea to keep things as they are. The smaller an invoice is, the less time you want to spend in chasing payment on it. If an invoice is just for a couple hundred bucks, requiring immediate payment or a NET 10 deadline may be most suitable. Larger invoices may merit a longer deadline because the client needs time to come up with the cash. Lastly, consider adding late fees or interest charges to your invoice terms to enforce your payment expectation. It’s customary to charge 1.5-2 % of the invoice amount as a late fee for past due invoices. Doing so adds some sense of urgency to the payment and shows the client that you are serious about collecting payment by the deadline. Then, make sure you follow up. To help you stay on top of delinquent invoices, review your Accounts Receivable Aging report weekly. The A/R aging report will show which invoices are current, coming due and past due. If the client hasn’t paid on time, send them a second invoice detailing the reason for the late charges. In extreme cases (e.g. several months or a year has gone by with no payment on a large invoice), you can hire an attorney or file a complaint in small claims court. If you’re in the market for an accounting software, FreshBooks makes it easy to charge late fees or interest on delinquent customer invoices. Plus with FreshBooks, you can easily accept payments by credit card or bank transfer. Take FreshBooks for a test drive with a free 30-day trial. In order to retain business, you sometimes have to give longer payment terms to a customer than you would like. 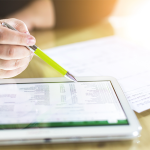 There are two tools at your disposal for bringing in money sooner and firming up your business’ cash flow: early payment discounts and invoice factoring. Early payment discounts are a win-win. They help you get paid sooner so that you can reduce gaps in your cash flow and meet your own financial obligations. They also keep the customer satisfied by saving them money. Traditional invoice factoring involves selling (or assigning) your customer invoices to the invoice factoring company. It’s a financing option reserved for businesses that will be using $10K per month in financing or more. But nowadays, there are also invoice financing companies. They will not contact your clients, and your clients can continue to make checks or electronic payments under your business’ name. BlueVine lends up to $5 million in as little as 1 business day. They will give you an 85% – 95% advance upfront, which you can use to pay bills, meet operating expenses, etc. BlueVine will give you the remainder (minus fees) once your client pays the invoice. Fees start at 0.3% per week. BlueVine also offers small business lines of credit up to $200K. Get pre-qualified online in minutes. There’s a lot at stake when choosing your invoice payment terms. They set the tone for your future relationship with customers and affect your business financially. The financial impact can be bigger than you think. For example, when a customer pays 30 days late, you may end up having to borrow money through a factoring company to cover your own obligations. The cost of doing that on a monthly basis is about 4%. So, if a customer pays a $10,000 invoice 30 days late, it’s like losing $400. Invoice payment terms also impact your customer relationships. If you bill a client too early, and the client will be annoyed. Give them all the time they need, and you may never see a cent that’s owed to you. If you invoice clients at different phases of work, then your client’s failure to pay at one stage can also slow down the project or even bring it to a halt. 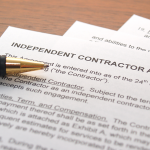 You need to strike a careful balance when choosing your invoice terms. Have a question about choosing the right invoice terms for your business? Our analysts are standing by to answer! Choosing your invoice terms doesn’t have to be rocket science. Following the tips above will help put you on the right path. If customers are still taking longer to pay you then you’d like, consider making early payment discounts or invoice factoring part of your invoicing solution to firm up your business’ cash flow. To make this process easier, consider using an accounting software like FreshBooks. With FreshBooks you can easily set up default payment terms for all customers as well as custom payment terms for one customer. Get started for free with a 30-day trial. I own a cleaning business and I invoice the property management same day when cleaning service is finished . But somehow it takes 3 to 4 weeks until I get paid and this is causing me a huge cash back flow in keeping up with my bills . I have to buy cleaning supplies , need gas , need to pay insurance and have personal expenses as well like paying rent etc. i contacted one management after 3 weeks waiting and all I got told was that the main office is cutting checks only at the 15th and the first of each month . So if the 29th is a Friday in sending a Invoice out and Sunday is the first , then I do not get my money in tome , because they did cut checks earlier . What makes me wait 4 weeks to get my money . 3. Send a letter that provides your customer with a recap of how many invoices have been paid late in the last 6 months or so. In that letter, state that you will start charging late fees if they do not pay you on time. Of course you may put your relationship in jeopardy with this approach but you will have to decide whether or not it is worth it. 4. Suspend service until payment has been made. Again, this is a last resort but an option that you may want to consider only after you have tried the first two options that I noted above. I hope this info helps and good luck to you. Hello, I have a small janitorial business and clean banks and government buildings. I clean two banks (same institution, different branches). One of the branches I get paid quick, about on the first of the new month, after I invoiced for work done the prior month. But the other branch, I never know when I will get paid. I work so hard all month and then have to wait to get paid in the next month whenever they feel like paying. I live in a small area and good janitorial companies are hard to come by. I don’t know why the same institution pays so different on the two branches. So one pays me on the 1st of the month. And the other, sometimes the 15th. again, same bank, just different branches. Do you have any advice? I have business expenses and owe a house and car payment due the first part of each month. Not getting paid for the one branch makes it tough. Thanks for your comment. Although they belong to the same institution, the different branches may have a different accounts payable procedure and different person in charge of accounts payable, which accounts for the difference in when you are getting paid. My advice to you would be to send the invoice right away after the work is complete. Be polite but persistent and follow up regularly to ensure that you get paid. Lastly, you could offer a small discount to the bank for early payment. There’s more about this in our article on early payment discounts. If the problem keeps recurring, you can try to escalate the problem to someone higher up in the organization, so they know what’s going on. Hope this helps! I am a cleaning company. I invoice early asking to be paid by the 24th of the month. 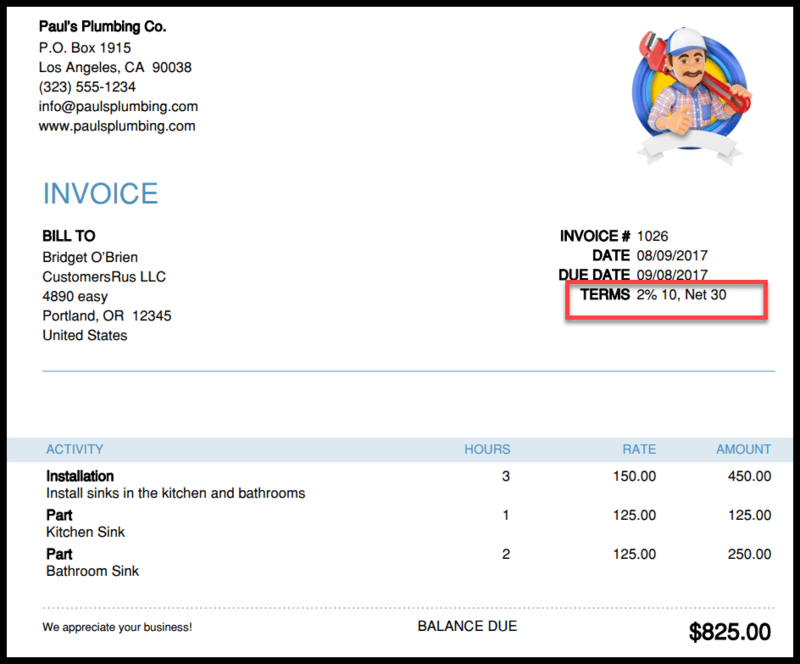 There’s no fixed rule on when and how to invoice your customers. As long as your invoicing schedule works for your clients (isn’t driving away potential customers, etc) and fits your monthly budgeting needs, you’re fine.